I should start by summarising what I think are two fundamental ways in which electrons can be added to the valence shell of a main group element. If an s/p basis only is used for the (main group) valence shell, then once eight electrons have populated the four bonding molecular orbitals constructed from this basis, additional electrons can then go into the four antibonding orbitals. This simple concept is often taught as an explanation for why the bond orders across the range N≡N, O=O, F-F and Ne…Ne decrease regularly (in fact one could also add CC to the left of this series, which is thought to have a weak quadruple bond). The Lewis octet is maintained throughout. The second fundamental possibility is to expand the valence shell basis set to s/p/d or s/s/p/p (the second s or p-shell is the Rydberg level, i.e. 3s for carbon) or even s/s/p/p/d. That would be a true Lewis octet expansion, which depends on identifying significant Rydberg occupancy. This latter is in fact very rare, and few examples have been conclusively identified. One such as been discussed on this blog and more examples were presented at the Aachen bond Slam in September 2017. Unlike the first mechanism (which reduces bond orders), this one actually increases bond orders and any bonds where the atomic orbital contributions have a significant Rydberg component can be considered as “Hyperbonds“. One can then address the issue of hypervalency (and any octet expansion) by analysing the basis set contributions of the orbitals. 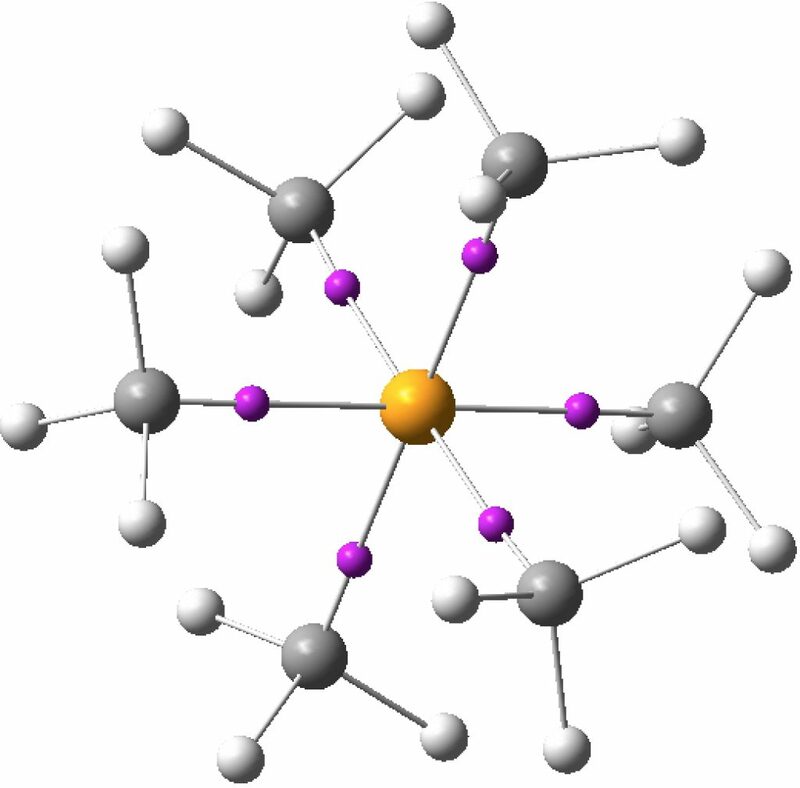 These orbitals can be either canonical molecular orbitals or localised (NBO) orbitals. If a single determinant wavefunction is appropriate, then the orbitals would be doubly occupied (for closed shell species). If the molecule has multi-reference character, then of course fractional electron occupancy of these orbitals may be required (as would e.g. be the case for ozone, O3, another molecule asserted in the review as hypervalent). There are other ways of analysing the wavefunction. The one discussed at length in the review is from an atomic charge map, but also mentioned is an ELF partitioning. This derives not from an orbital population but from the distribution of a function (ELF) calculated from the electron density itself. It was this latter method that was cited for SeMe6. The ELF method partitions electrons into so-called basins, which can be monosynaptic (lone pairs and ionic bonds), disynaptic (covalent bonds) and more rarely trisynaptic (3-centre bonds). Using this analysis, six disynaptic octahedrally-arranged ELF basins were located for SeMe6 (“in which the Se–C bonds are relatively non-polar, can have electron populations exceeding 8 at the central atom”) and for which the total integration cames to 11.34e (FAIR Data DOI for this calculation can be see at 10.14469/hpc/3219). The key phrase is “non-polar”, since the Lewis concept relates to shared electron pair or covalent hypervalency. It was this aspect that I focused on seven years back in looking at whether e.g. IF7 was hypervalent (along with I(CN)7). These were too ionic to reveal disynaptic covalent ELF basins. So in an effort to reduce the polarity, I tried II7 and At.At7, on the grounds that these homonuclear molecules might be less polar. The seven I-I or At-At ELF disynaptic basins integrated to totals of 6.55 and 6.47e respectively; there was no evidence of “octet expansion” for either central halogen. Instead of course, the six electrons in the octet-excess needed to create seven I-I bonds actually populate I-I antibonding orbitals, as per method 1 above. Accordingly the I-I bond orders reduce from 1.0 to e.g. 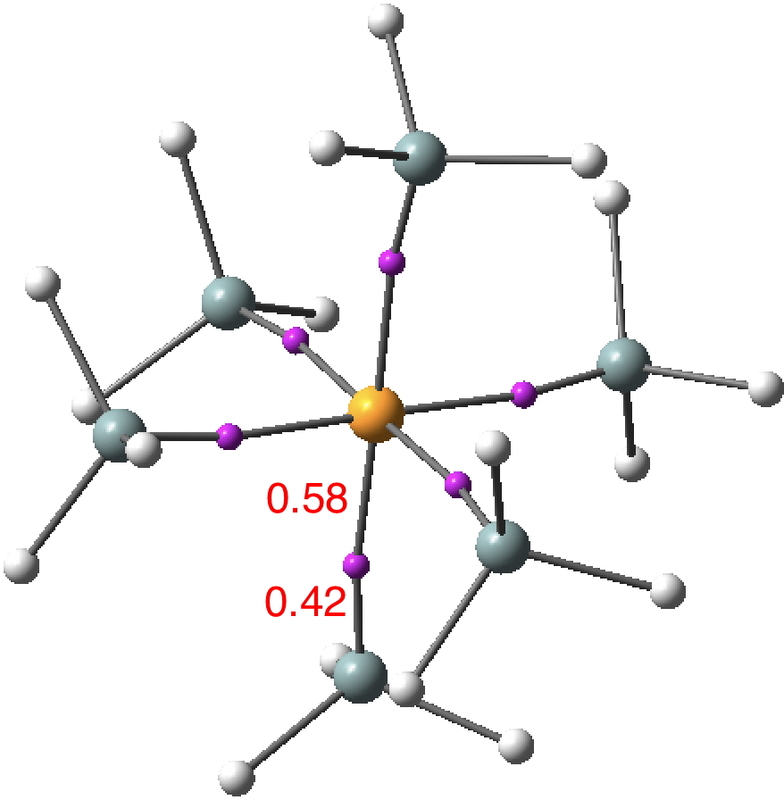 0.47 for the axial substituents and 0.37 for the five equatorial groups. One interesting property of the centroid of the ELF basins is that you can infer the polarity of the bond from its position along the bond axis. For II7, the centroids are displaced towards the central iodine, indicating it is more electronegative, and away from the terminal iodine, indicating it is the electropositive partner. I mention this since the ELF basins for SeMe6 show the centroids to be strongly displaced towards the carbon and away from the Se (0.38/0.62), indicating that this molecule is in fact polar and NOT non-polar as was asserted. To follow-up this latter observation, I did an NBO analysis of the wavefunction for SeMe6 (FAIR Data DOI: 10.14469/hpc/3220). This reveals the following properties. SeMe6 is a polar molecule with no hypervalent attributes as judged using orbital analysis. As a polar molecule, it has six methyl carbanion-like substituents in which the carbon “lone pairs” all point towards the Se, manifesting as disynaptic ELF basins and indicating a total valence-basin octet-expanded population of 11.34e at Se. Even though this octet expansion originates mostly from the carbon atomic orbitals, the disynaptic nature of these valence basins means that the Se could indeed be defined as hypervalent. Well, SeMe6 has turned out to be rather less clear-cut than implied by the assertion “in which the Se–C bonds are relatively non-polar”. There are however possible modifications to SeMe6 that might yet make it less polar. These may be the subject of a follow-up post. This entry was posted on Tuesday, November 7th, 2017 at 1:40 pm and is filed under Hypervalency. You can follow any responses to this entry through the RSS 2.0 feed. You can leave a response, or trackback from your own site. Could QTAIM analysis shed light in this issue? For example describing the bonds as ionic or covalent? or maybe accounting charge around atomic nucleus basin? What could QTAIM say about hypervalency in this SeMe6 example? QTAIM was discussed extensively as a technique in the review article cited, although it was not applied to SeMe6. I will put up a QTAIM analysis shortly. I have added a full QTAIM analysis to the FAIR data deposition https://doi.org/10.14469/hpc/3219 for anyone who wishes to go through the (extensive) set of calculated properties. Certainly it appears polar, but less so than indicated by the NBO analysis. Here is the equivalent analysis for Se(SiH3)6 (FAIR Data 10.14469/hpc/3231 ). The six ELF basins integrate to 11.77e. The NBO charges are Se; -0.18765, Si +0.44317, H -0.14285 which indicates reversed polarity at the Se. The natural electronic configurations are Se: [core]4S(1.64)4p(4.46)4d(0.08), Si [core]3S(1.16)3p(2.37)4S(0.01)3d(0.02)4p(0.01) and the total Rydberg population is 0.34703e. 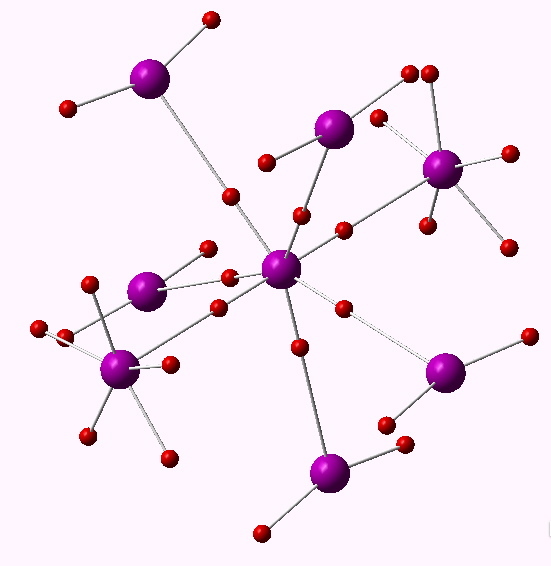 The Wiberg bond index per atom at Se is 3.0467. All this suggests this species is hypervalent as indicated by ELF density analysis and merely hypercoordinate as suggested by NBO orbital analysis. Hypervalence revisited. The odd case of hexamethyl selenium. is licensed by Henry Rzepa under a Creative Commons Attribution-Noncommercial-Share Alike 3.0 United States License.